Have you ever strolled through the nail polish section of a makeup store and wished you could own all those beautiful colors? Or have you ever gone from store to store in search of the perfect shade only to end up empty handed? If you can relate to this, we have a solution for you! We tried out four amazing ways to make your own nail polish color, and the results were astonishing! These methods will help you come up with your very own customized nail polishes. Try a single color or play around with multiple shades – the choice is yours. 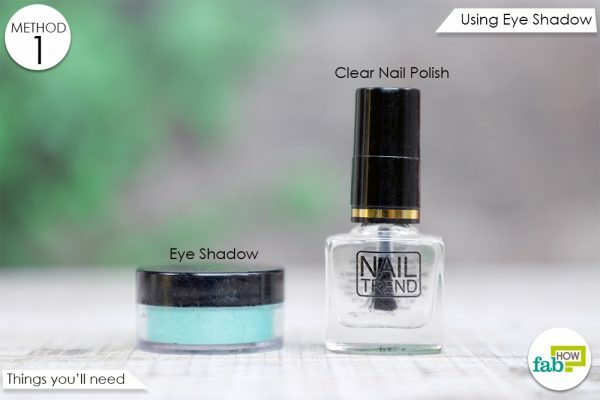 Compared to lacquers sold by well-known makeup brands, these DIY nail polish are quite inexpensive. 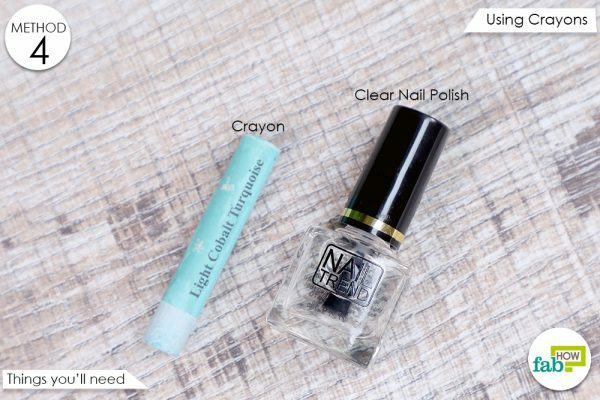 Make your own custom nail polish collection with just a few simple ingredients and clear nail polish. You can easily find these ingredients online or at a store near you. 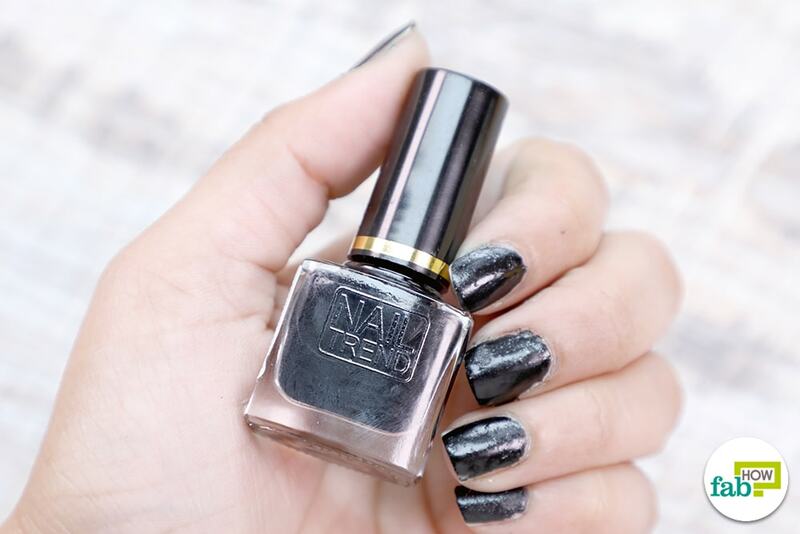 You are going to love the glamorous matte look of this DIY nail polish. It is easy to make and apply and takes less time to dry than the usual store-bought nail polish. You can adjust the quantity of the eyeshadow according to the shade you want and apply it as a regular nail polish. Add more eyeshadow powder for opaque nail color and less for a sheer look. 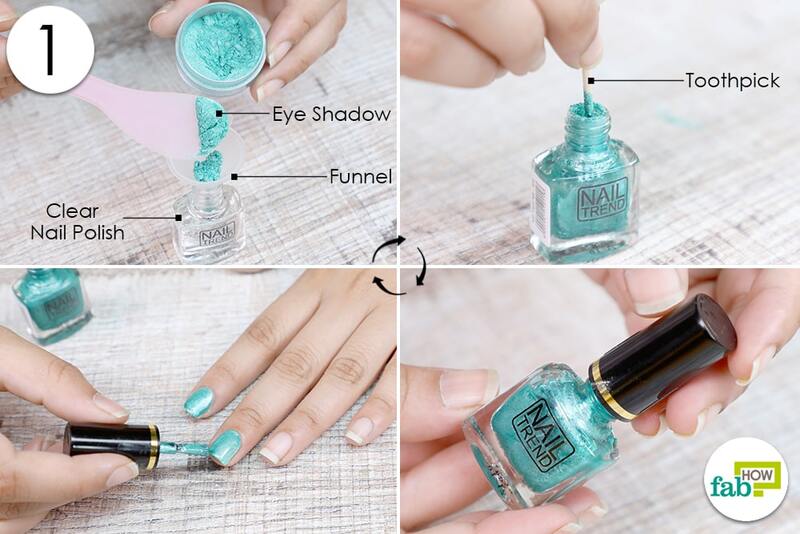 Using a funnel, add the eyeshadow powder to the clear nail polish. With a toothpick, mix the eyeshadow powder and the clear nail polish. Close nail polish bottle and shake it well. Your colored nail polish is ready to apply. 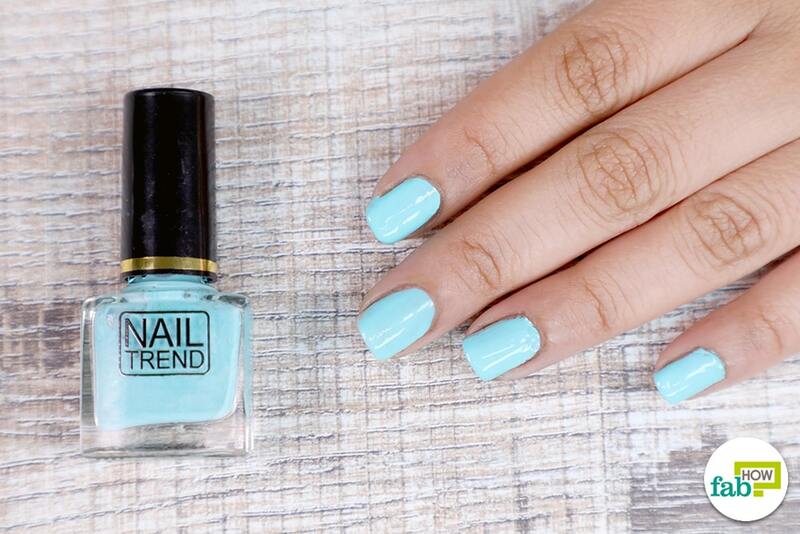 You may also use lipsticks instead of eyeshadow to make this nail polish. This is also a great way to match your makeup with your polish. Shake it well before every use. A little glitter can add more life to almost anything. Glittery makeup has been trending for quite some time, and shimmery nail paints are exactly what you need to increase your style quotient. 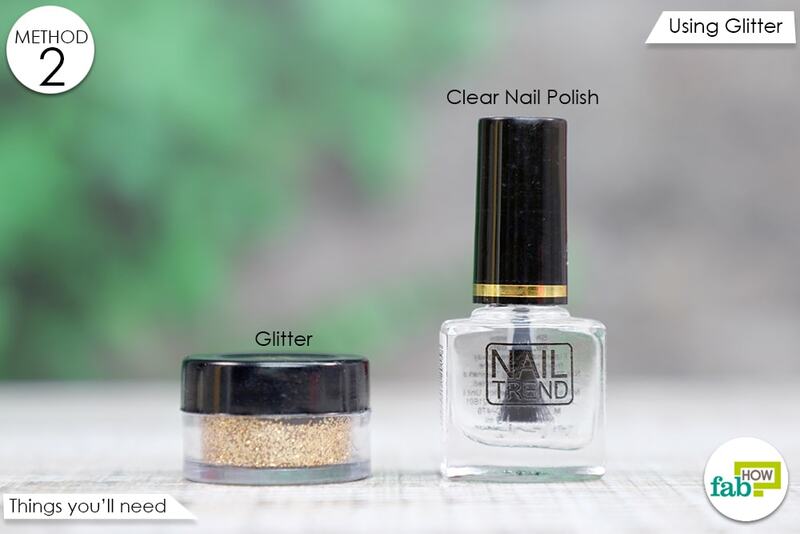 Add the glitter to the clear nail polish. Mix with the help of a toothpick. 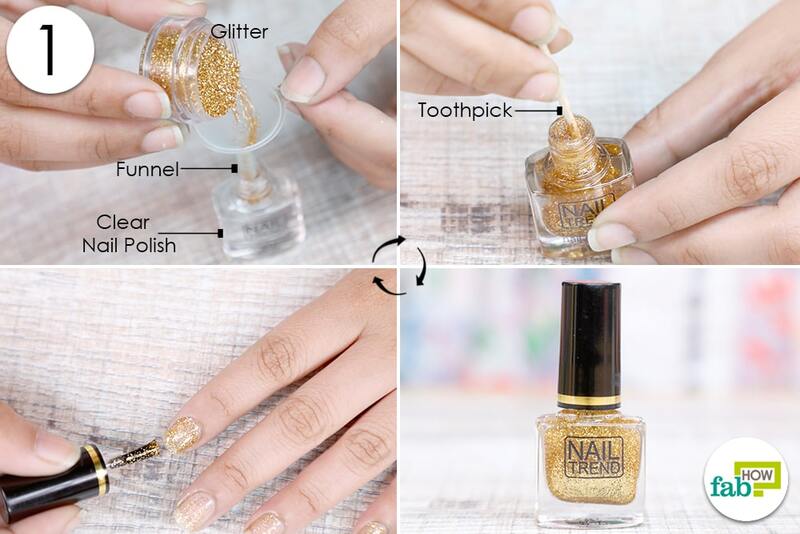 Shake the glitter nail polish well before applying it to your nails. Add multiple coats for a finer finish. If you want a more sophisticated matte and glittery look, you can add in some eyeshadow along with the glitter. Use colorants to create your own unique nail polish. Mineral micas can give you a shimmery, funky nail color, while oil-dispersible colorants (oxides, ultramarines, etc.) can be used for a glossy, bright, and clear look. For matte nail colors, add in a little cornstarch along with the colorant. We have experimented with activated charcoal here, and the results were pretty impressive. 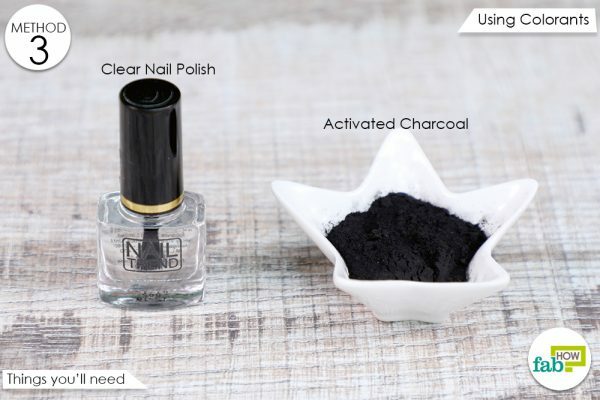 Add the activated charcoal to clear nail polish with the help of a funnel. 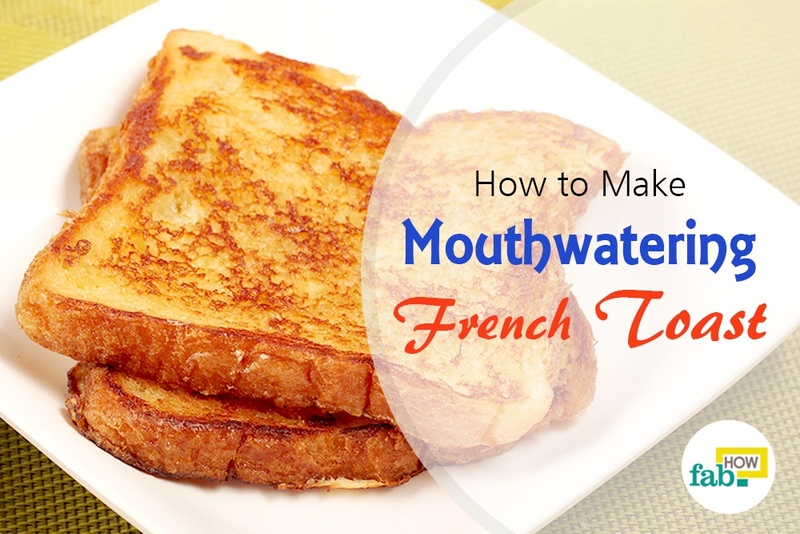 Mix both ingredients well with the help of a toothpick. Shake the nail polish well before application. Alternatively, you may use other natural colorants such as hibiscus, beetroot powder, or turmeric instead of activated charcoal. You may also do well with cosmetic colorants. 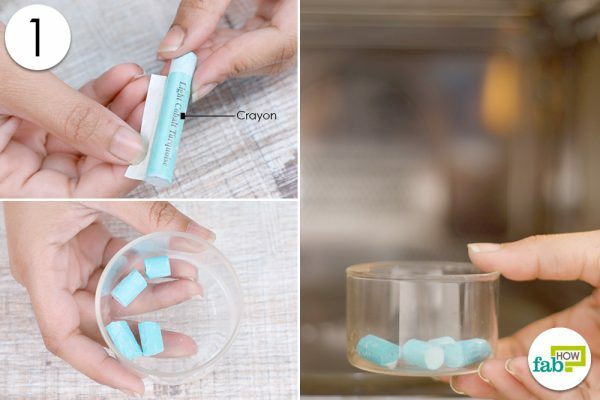 This is a quick fix and one of the best ways to put those crayons lying around your house to some good use. Choose your favorite crayon color and convert it into stylish nail polish in just two simple steps. Break the crayon into smaller pieces. Put it in the microwave for a few seconds to melt. 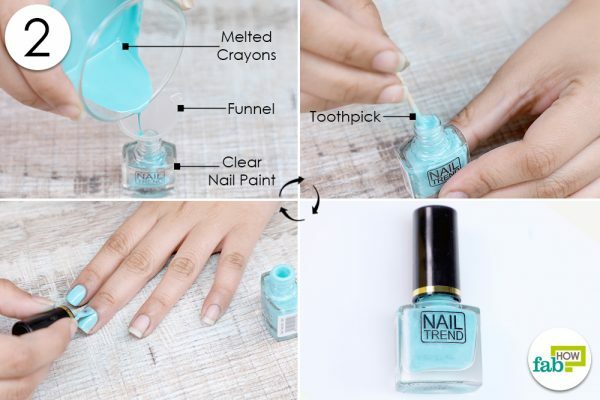 Pour in the melted crayon into the clear nail polish bottle. Your colored nail polish is ready to be used. This nail polish will take time to dry completely. It is best to avoid this method if you are in a hot and humid climate. 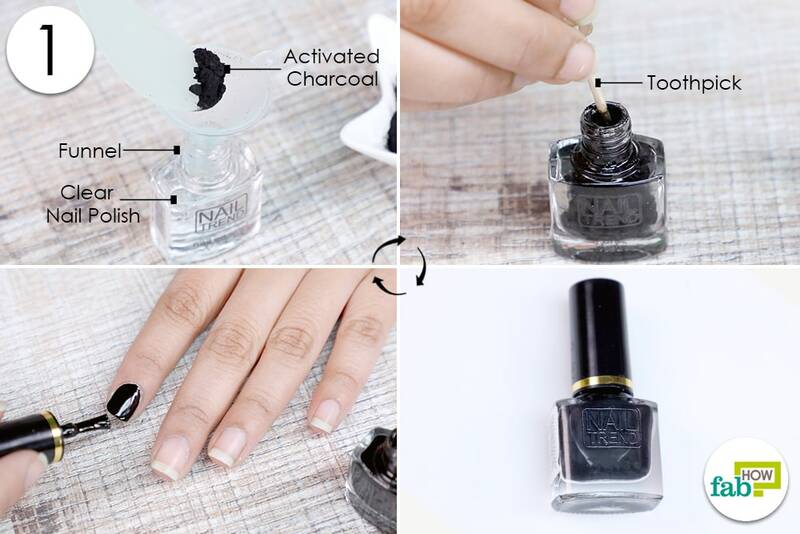 Give your nails some TLC to get the perfect look after applying your nail polish. You may roll up a paper and use it as a funnel in case you do not have a plastic one. You may add a small ball bearing to ensure the color mixes well with the clear nail polish. Food dyes, craft glitters, and noncosmetic colorants may not give very impressive or long-lasting results. For best results, apply a base coat and a top coat. This will also help in making your custom nail color and finish last longer. These methods may get a little messy. Make sure you prepare your materials and working area well, so you do not have to spend much time cleaning up the mess.